Assamese to English translation - English to Assamese translation. Translation is the necessity for today’s world and we are providing the Assamese translation in its best possible way. We employ only the very best Assamese translators the world has to offer. They are meticulously screened during our rigorous selection process so that only specialists having the best qualification, industry experience and subject expertise handle your translations. We only work with dependable and experienced translators who consistently display superior performance and quality results. We ensure that the Assamese translators assigned to your project have the appropriate expertise required to provide you with a high quality, culturally sensitive translation in any field that you desire. Assamese Translation Fields: Document Translation ( IT Manual, Software Manual, Multilingual User Manual, Technical Script and Manual, Training Material, Medical Documents, Engineering Documents, Marketing & Advertising, Legal Documents, Literatures, Official Papers, Tourism, Sports), Website Translation, Software Localization, Multilingual Web Publications, Web Content management and translation, Print Publications. Assamese (অসমীয়া Ôxômiya) is the easternmost Indo-Aryan language, spoken mainly in the state of Assam in North-East India. It is also the official language of Assam. It is also spoken in parts of Arunachal Pradesh and other northeast Indian states. Small pockets of Assamese speakers can be found in Bhutan. The easternmost of Indo-European languages, it is spoken by over 13 million people. The English word "Assamese" is built on the same principle as "Japanese", "Taiwanese", etc. 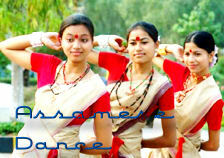 It is based on the English word "Assam" by which the tract consisting of the Brahmaputra valley is known. The people call their state Ôxôm and their language Ôxômiya. Assamese and the cognate languages, Bengali and Oriya, developed from Magadhi Prakrit. According to linguist Suniti Kumar Chatterji, the Magadhi Prakrit in the east gave rise to four Apabhramsa dialects: Radha, Vanga, Varendra and Kamarupa; and the Kamarupa Apabhramsa, keeping to the north of the Ganges, gave rise to the North Bengal dialects in West Bengal and Assamese in the Brahmaputra valley. Though early compositions in Assamese exist from the 13th century, the earliest relics of the language can be found in paleographic records of the Kamarupa Kingdom from the 5th century to the 12th century. Assamese language features have been discovered in the 9th century Charyapada, which are Buddhist verses discovered in 1907 in Nepal, and which came from the end of the Apabhramsa period. Early compositions matured in the 14th century, during the reign of the Kamata king Durlabhnarayana of the Khen dynasty, when Madhav Kandali composed the Kotha Ramayana. Since the time of the Charyapada, Assamese has been influenced by the languages belonging to the Sino-Tibetan and Austroasiatic families. There is a growing and strong body of literature in this language. The first characteristics of this language are seen in the Charyapadas composed in the 8th-12th century. The first examples emerge in writings of court poets in the 14th century, the finest example of which is Madhav Kandali's Kotha Ramayana, as well as popular ballad in the form of Ojapali. The 16th--17th century saw a flourishing of Vaishnavite literature, leading up to the emergence of modern forms of literature in the late 19th century. Kolkata Translators - Assamese Content Writing India - Indian languages - Language Professionals Kolkata.